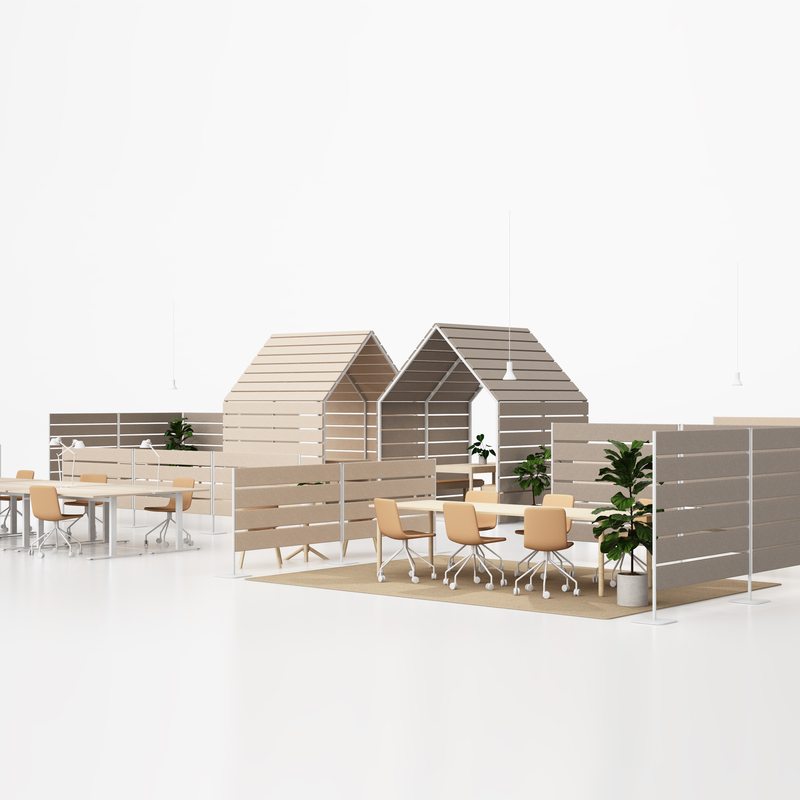 Glimakra of Sweden presents a family of repeatable room dividers and a muted pavilion, for meetings and work by designer Johan Kauppi. Wintery silent landscapes inspired Glimakra of Sweden and Johan Kauppi in their latest collaboration. 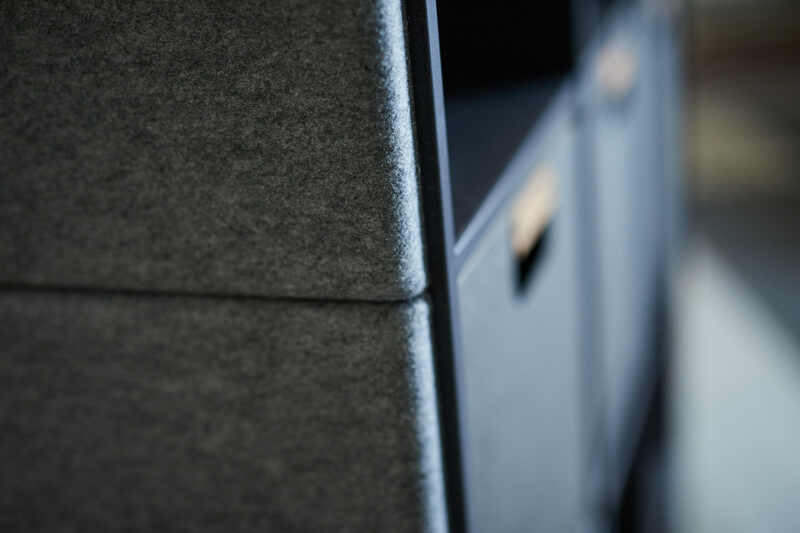 A collection of furniture for well-balanced acoustic work environment – still keeping the office landscape open. The Barn & Fences is all about horizontality, repetition and transparency. Limbus Barn & Fences is a collection of partitions and a pavilion, designed for dividing and defining areas in offices and large-scale public interiors. Produced by Glimakra of Sweden, designed by Johan Kauppi to be launched at Stockholm Furniture & Light Fair 2018. Barn & Fences allows you to create mute zones and damped areas and still maintain the sense of open space – at the same time. A system with well taken-care-of details and a great flexibility in utilization with the aim to make open space interiors sonically pleasant. Limbus Barn works as silent, yet see through, pavilion that can be used for meetings and for workplaces. Placement angles and the number of combined pavilions will allow The Barn to resemble a cluster of sheds, intended to host creative meetings. Or why not use a barn, place as a stand-alone writing hut, when that extra focus is needed? The pavilion flooring is made from ash wood and it is prepared for suspended lighting fixtures. Limbus Fences can be the repeated in rows for dividing and defining areas in offices and large-scale public interiors. The quality of Fences is an interesting combination between standalone stability and great flexibility, making the system easy to use when creating temporary areas, walkways, flowing forms or zig-zag corners. The system uses high precision shaped hooks to secure the boards and only a few screws are needed to assemble feet and clutch pipes.